You don’t want to miss the HBO and CINEMAX FREE Preview Event April 11 – 14. 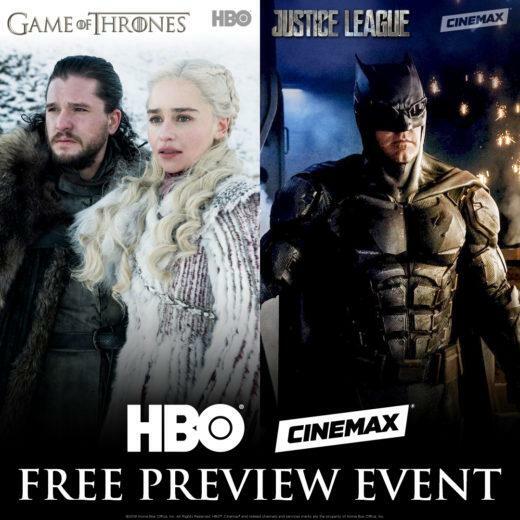 Enjoy hit movies like Justice League, addictive shows like Barry, and the epic final season premiere of Game of Thrones on April 14. Tune in to PES Energize HBO channels 501-507 and Cinemax channels 509-512 beginning Thursday, April 11 through Sunday, April 14.